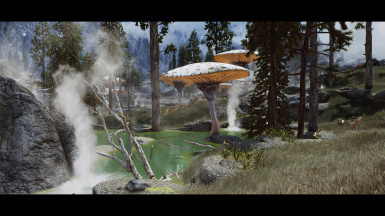 the volcanic area was always nice to look at but lacks a bit on details. 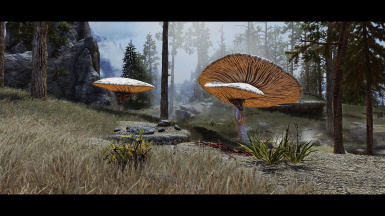 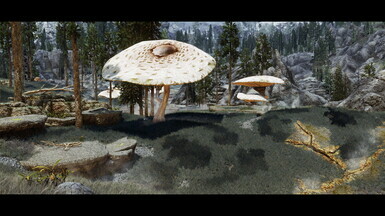 therefore i decided to add lots of giant mushrooms to that area. 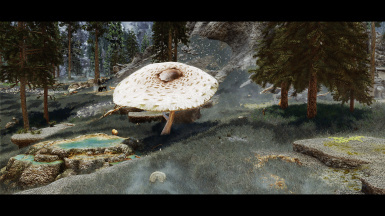 i think they fit pretty nice into the environment. 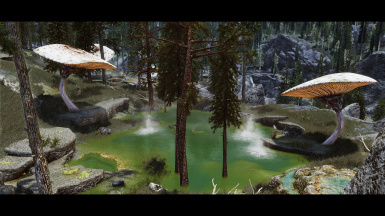 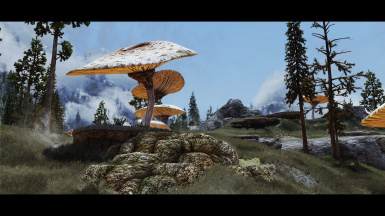 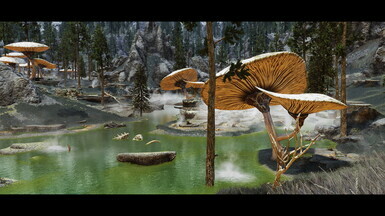 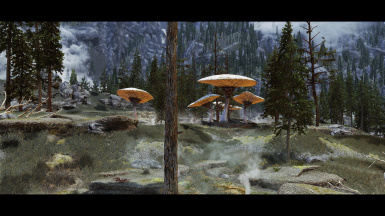 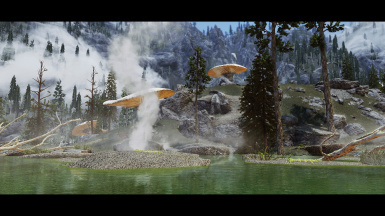 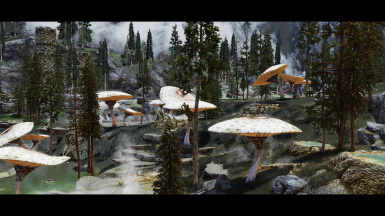 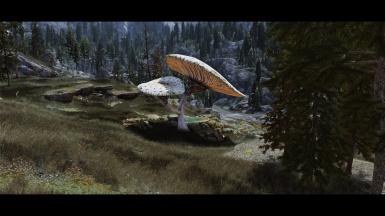 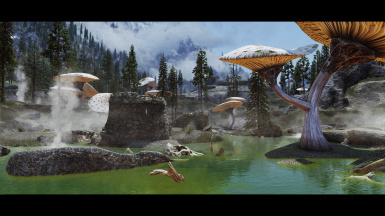 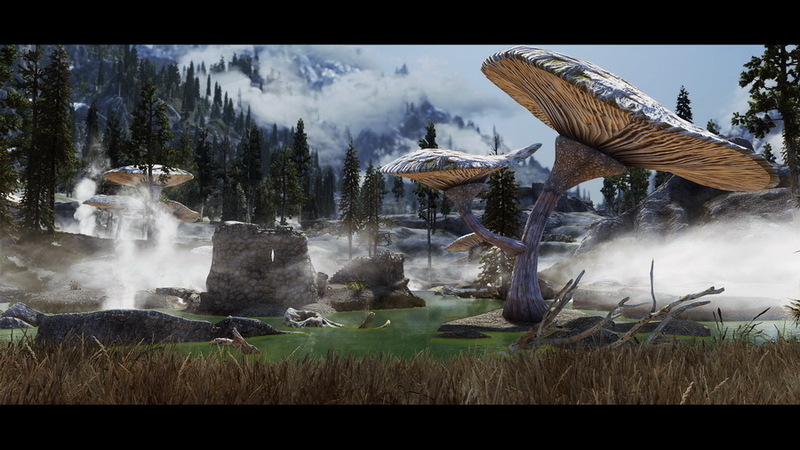 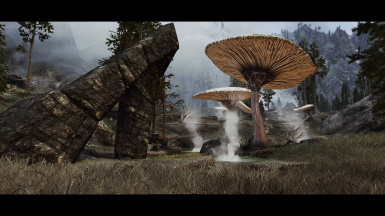 full compatible with Skyrim 3D Trees and Plants.